For everything there is a season…Wave Season may be the right time to book a cruise. When is the best time to book a cruise? The simple answer: There isn’t ONE best time to book. Of course, the cost of a cruise varies widely based on a host of factors – including the particular cruise line, ship, itinerary, length of cruise and cabin you choose. But the timing of your booking can significantly affect costs, too. “Economic slumps, geopolitical crises, and too many ships deployed in a given region drive rates down,” write Matt Hannafin and Heidi Sarna in Frommer’s Cruises and Ports of Call. Conversely, rates go up when demand increases (e.g., during busy periods) or when fuel prices rise. But when you compare oranges to oranges – that is, cruises in the same cabin, on the same ship, and on the same itinerary – the time for savvy cruise shoppers to book a cruise for the coming year might be right now. During Wave Season, many lines offer special deals as incentives for people to book early in the year. These might include: free cabin upgrades; onboard incentives, like spa credits; complimentary shore excursions; unlimited drink packages; and prepaid gratuities. As one example, Viking Cruises is currently offering Wave Season specials on both its ocean and river cruise itineraries. So if you book a Viking Homelands ocean cruise from Stockholm, Sweden to Bergen, Norway before January 31, 2017, you can take advantage of two-for-one cruise fares on a voyage through eight different countries. One complimentary shore excursion is included at every port and round-trip airfare is discounted. In addition, passengers can choose from one of the following freebies: a complimentary beverage package, $400 shipboard credit per stateroom, or prepaid gratuities. Similarly, on certain Viking River cruises, passengers can take advantage of two-for-one cruise fares; discounted or free international air; and a choice of a free beverage package, up to $400 stateroom credit, or prepaid gratuities. There are equally attractive deals on a variety of cruise lines. How do you find out about Wave Season deals? If you have interest in a particular cruise line, check their website for special offers or promotion. CruiseCritic.com, the largest cruise review site and online community, maintains an updated list of wave season deals. Get information and advice from a travel agent that specializes in cruises. Once you find a deal that interests you, be sure to book before the deal expires. Book-by dates during Wave Season vary from line to line. What if you miss the window? 1) Take advantage of early-bird booking discounts; prices generally increase as the date of the cruise gets closer. By booking early, you’ll also have the biggest choice of cabins and categories by booking early. 2) If you can travel during traditionally slow cruise periods, like September or October, and avoid holiday or summer travel, you are likely to find lower fares. 3) If you don’t live near a cruise port and have to factor in air transportation to the cost of your cruise, airline fare deals/discounts may bring down the total cost of your trip. 4) Comparison shop among different lines and look at different itineraries. 5) Take advantage of last-minute deals (although choices will be more limited). 6) Get help from a seasoned professional who can help you spot the best deals. If all else fails, wait for next season’s sale window. National Plan a Cruise Month takes place every October…and it won’t be long before Wave Season comes around again. Thank you for all of these excellent tips regarding cruises. You are so right that there is not one best time to book a cruise. I have been on various cruises in spring, summer, fall and winter, and I loved them all. How good are the ‘deals’ offered to frequent cruisers of a particular cruise line? So when I saw “wave” I thought the deals were due to big waves, rocky voyage. You can see what a novice I am! I’ve only been on one cruise and it was better than I expected. But getting a “deal” would make the voyage even more enjoyable! Love this. I really should look at Wave Seasons deals for cruises. Being flexible with dates and itineraries is always on my mind, leading to tremendous opportunities. Yes, one of the real rewards of aging is having more flexibility from fixed childcare and school schedules! I’m not much of a cruiser so that was great to learn a new term about the wave season. I’m surprised to think this would be a down season, but I’m assuming it probably is for cruises mostly in the colder climates? Actually, Wave Season refers to a time to book rather than a time to sail. During Wave Season, you can book a future cruise any time during the year. I’m really looking forward to my very first river cruise (thanks to you!). Maybe it’s time for me to finally go on an ocean cruise during my life after 50. Thanks for all the information on the deals. Hope you can take advantage of some of the deals! I think you would love ocean cruising, Judy! Thank you for all of these really helpful tips. We definitely need to finally, go on a cruise! I’m sure you would love it, Suzanne! I’m another non cruiser who had never heard of a wave season! It’s always great to learn something new. A two for one deal will always appeal! I must admit that the Viking trip through the Nordic countries is one cruise that appeals to me so you never know, it may not be too late to be a cruise virgin! I’m surprised you haven’t cruised yet…hope you give cruising a chance. I’ve never heard of “Wave Season” what a funny term. You certainly outlined many ways to get the most bang for your buck while cruising. Thanks! Add us to the “Wave Season” newbie list. I will for sure be taking at look at the possibilities…we so enjoyed our first small-ship cruise that we’re now considering a repeat! Thanks for this timely nudge, Irene! 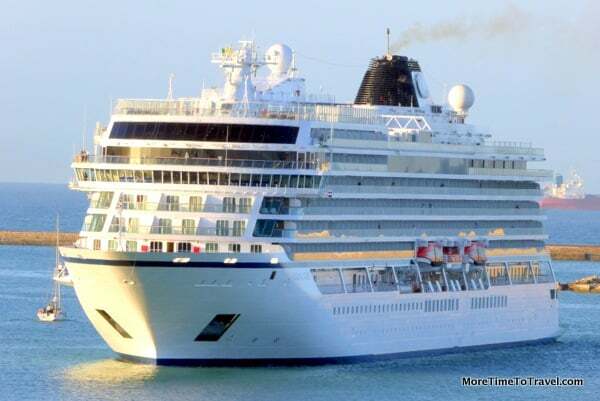 Living near a Mediterranean port must surely offer you many cruise possibilities! You are definitely becoming the Queen of the Seas, Irene! Great tips as always about cruising. Thx so much! Still haven’t been on a cruise but have been thinking seriously about doing it and this post will be bookmarked for when I’m ready. Great tips! Excellent tips for snagging a great deal on a cruise! We can certainly attest to the fabulousness of a “Viking Homelands” cruise, which you mention. This has really whet my appetite for a European river cruise Irene. We’ve been planning either a canal cruise or a river cruise, still trying to decide, but this looks incredible. Definitely gone to the top of the list. I read recently that the Rhine and Danube rivers have historically low water levels right now, restricting the potential routes, so I guess timing is an essential consideration. Great article, thanks for the depth of information.